In the fourth quarter of 2018, we rolled out a number of new features and enhancements for decídalo. This article provides an overview of the main new features – without claiming to be exhaustive. A whole series of new functionalities and extensions have been added to CV management. Consultant CVs and project references can now be made even more visually appealing by using logos. For example, you can highlight certifications with a certificate logo, flag language skills with a country flag or display a pictogram for industry experience. You can use customer logos to visualize the project experience. However, this should of course only be done if you know that the customer has nothing against it. You can ensure this with another new feature. decídalo now offers you central customer management. Here you can upload customer logos and maintain the customer industry. You determine whether the customer may in principle be named in CVs or reference presentations and whether his logo may be used. You can specify an alias name, which is displayed instead of the customer name if the customer is not to be named. You can also use customer management to ensure that the spelling is uniform. If a customer was created in different CVs or projects with different names, you can merge them. Sometimes the customer name or logo may only be omitted for certain projects. Therefore, you have the option to further restrict the use of customer information at both project and CV level. Your customers should be able to find the information they need as quickly as possible in a consultant CV. In decídalo it is now even easier to customize CVs. For example, if you want to explicitly offer a consultant with experience as project manager, IT architect and developer as project manager, you can tailor the CV to this role at the push of a button. Do you need to provide a set of matching CVs for an offer? Or you have some consultants in your team who will soon have free capacities and you would like to actively find new projects for them? In decídalo you can now select several CVs and manage them via a shortlist for different use cases. Automatically attach all CVs for the offer to an e-mail or inform your account management colleagues about available candidates. With strategic planning, we have introduced a completely new module that extends the planning horizon beyond operational resource management. You will receive a forecast for the coming months from current projects and opportunities. But what skills and capacities will be required in two to three years and what action will be required as a result? This question is essential for the strategic orientation and control of the company. With the new module you plan your capacities and skill requirements beyond the concrete project requirements. In this way, you align your resource planning with the corporate strategy and recognize at an early stage which skills you need to develop. 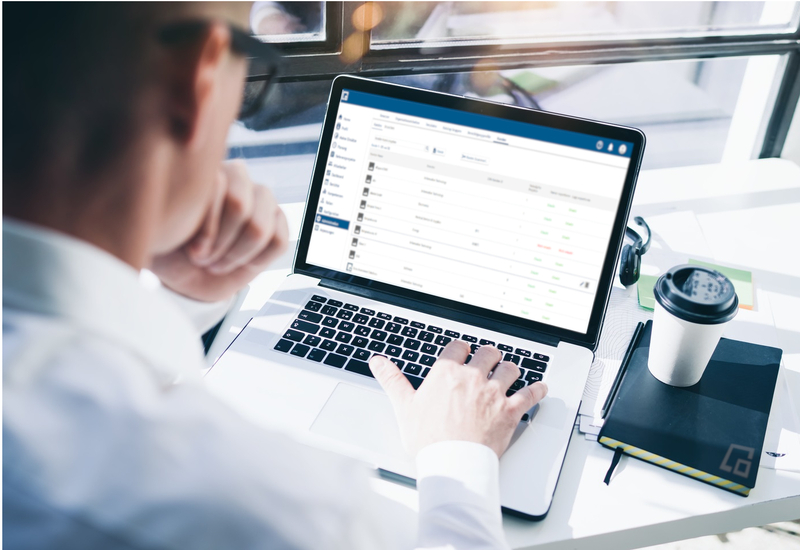 We have added new features to decídalo’s central authorization concept that let individual users manage their authorizations. In large companies, the central permission settings are often very restrictive. Employees usually do not have a view of the data of other employees. This makes it impossible for them to find an expert for a specific topic and inhibits the exchange of knowledge. In order to give employees more transparency about skills in their own company, while at the same time complying with existing data protection regulations, decídalo offers the concept of communities. Communities are interest groups that an employee can join and share data with. The employee decides which information from his profile is visible to the other members of the community. For example, they can publish their skills anonymously. Of course it is also possible to define the whole company as a community and thus give employees the opportunity to present their skills and experiences company-wide. A manager can use delegations to delegate parts of his authorizations. Which authorizations he can pass on is configured centrally.